Dr. Siavash Jabbari earned his Medical Degree at the University of Michigan, where he was inducted into the Alpha Omega Alpha National Medical Honor Society. He was subsequently recruited to the University of California San Francisco for residency training where he served as chief resident. Upon completion of his residency, Dr. Jabbari practiced in Chicago while serving as Assistant Professor of Radiation Oncology at the Chicago Medical School. He currently practices in San Diego, CA, where he serves as the radiation oncology Medical Director of the Laurel Amtower Cancer Institute and Neuro-Oncology Center. As a devoted advocate for public health and cancer patients, Dr. Jabbari contributes regularly to several regional television and media outlets as an expert commentator and recurring guest. His advocacy work also includes regional and national leadership positions in health policy, government relations, and charitable foundations. Dr. Jabbari has published nine authoritative textbook chapters and nineteen peer-reviewed journal articles in a wide range of cancers and advanced medical technologies, including for breast, head and neck, brain, spine, lung, cervical, and prostate cancers. Dr. Jabbari is the current principle investigator of several on-going prospective clinical trials in oncology, and actively serves as an expert reviewer for several scientific journals. He is a regular invited speaker for numerous regional, national, and international scientific and medical meetings, including as an invited speaker at the 2016 and the 2017 Australian and New Zealand Royal Academy of Radiology/Radiation Oncology (RANZCR), and moderating the Presidential Symposium of the American Society of Radiation Oncology (ASTRO) 2009 annual meeting. 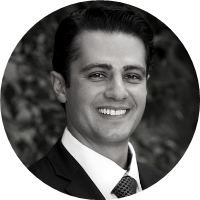 Dr. Jabbari has been elected by San Diego physicians for San Diego Magazine’s “Top Doctor-Physicians of Exceptional Excellence” award in 2016, 2017, and 2018.